When organizing your home or small office network sometimes it can be easier to assign each computer it’s own IP address rather than using DHCP. 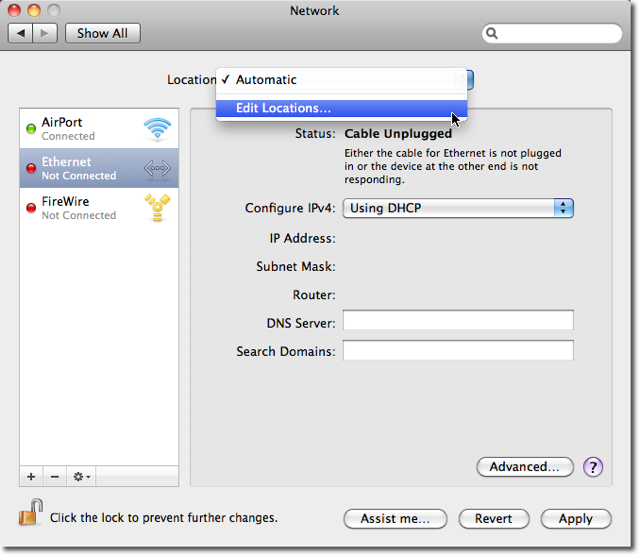 Today we take a look at how to do it in OS X. 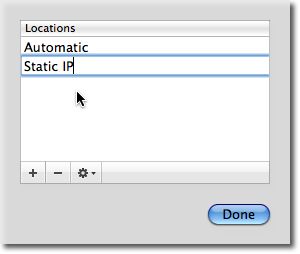 Previously we showed you how to set a Static IP in Windows, and you have a Mac machine on your network, you might want to assign it a Static IP as well. Name it something that will let you remember what it is for. Once you have named the new location you will click on the connection you want to set manually. In this example we will use Ethernet. 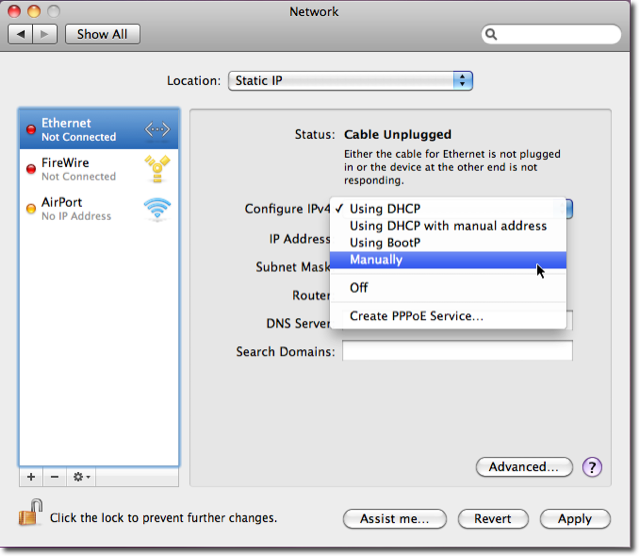 From the Configure IPv4 drop down we will choose Manually. 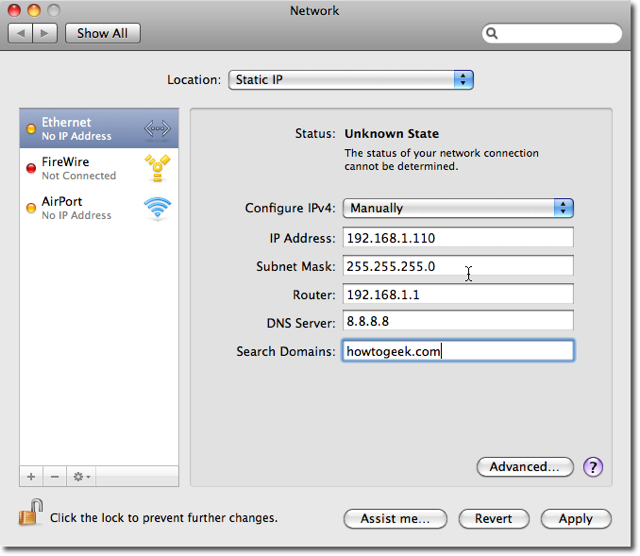 Now we will add the IP Address, Subnet Mask, Router, DNS and Search Domains. In this example we will use Google’s DNS which is 8.8.8.8 and your Search Domain will depend on your network. This is a handy little option to use if you are setting up your own small network for home office or even LAN parties. It can be helpful when troubleshooting networks as well. 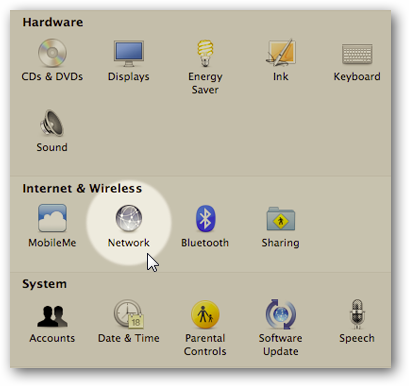 Another OS X networking article you might be interested in is how to mount a Windows share in OS X.